Following the Orlando gay nightclub massacre, we revisit our earlier coverage on gun control in the US. 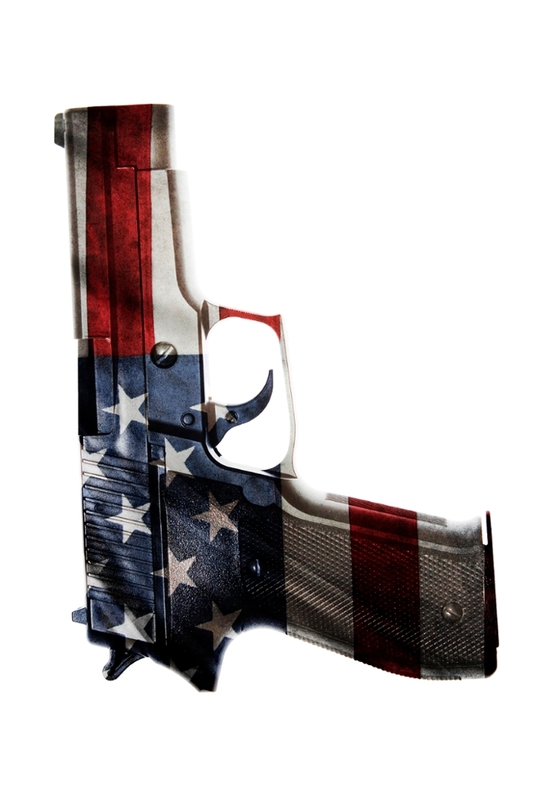 A big data mining project revealed the efforts of citizens on both sides of the gun debate. Orlando gay nightclub massacre has reignited the US gun debate. The 2016 US death toll for gun murders is now around 6,000. President Obama calls for action in potentially deadliest year since he took office. In light of those words, Science Node revisits our feature on gun-control petitions and the efforts of concerned citizens on both sides of the gun debate. After any world disaster that’s taken to the news, you can count on your social network buddies to send you a link to an online petition. Researchers at the University at Albany, State University of New York (SUNY) looked into e-petitions' effectiveness in advocating for change, and their big data analysis uncovered strong evidence suggesting e-petitioners strategically countered a move toward new gun legislation. On December 14, 2012, a 20-year-old shooter took the lives of 20 children and six adults at Sandy Hook Elementary School. The tragedy prompted a renewed gun control debate in the US. As news coverage detailed the aftermath of this disaster, a surge of electronic petitions proliferated across the country. Americans demanded stricter gun regulations and action from President Obama. 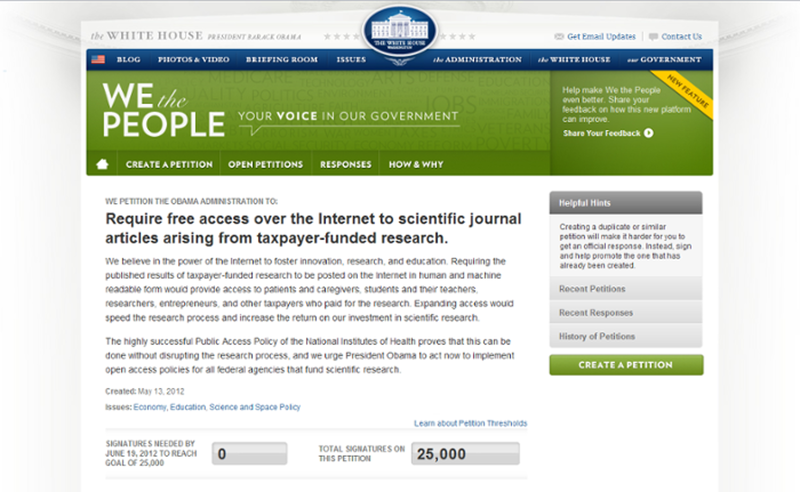 In September 2011, the Obama administration introduced an e-petitioning platform, We the People, and pledged to respond to any petition that draws more than a threshold number of signatures. The online system lets citizens write petitions on topics of their choosing. Supporters can vote in favor of these petitions by registering their signature. As of July 2015, the system had logged over 19.5 million users, more than 27.7 million signatures for over 411,000 petitions, and an accumulated average of over 20,000 signatures a day. SUNY Albany researchers collected data created through We the People — petition texts, signatures, signers’ characteristics, and messages used by petition solicitors — in the week after the Sandy Hook shootings. Published in Big Data & Society, their study focuses on 21 anti-gun control e-petitions and analyzes them using computational software and two data mining techniques: market basket analysis and social network analysis. Market basket analysis (so-called because it’s similar to analyzing the sets of items in a shopper's ‘supermarket basket’) aims to identify patterns in the co-occurrences of objects (in this instance, the likelihood of someone signing petition x also signing petition y). Based on customer buying patterns, supermarkets can determine how often a particular product is purchased and whether it's purchased in conjunction with other items (bacon and eggs, for example). Armed with this knowledge, they can then arrange items to entice customers to buy them together. Social network analysis takes a closer look at petitioner group formation based on their support for the same petitions. It provides methods to grasp the roles of network participants and the nature of interactions with other participants in these networks. “This analysis enabled us to identify groups of individuals that had signed some of the same petitions and that had similarly refrained from signing others,” Dumas explains. The collected data from We the People was converted into appropriate networks and these networks were fed into the web-based computational software on CINET (CyberInfrastructure for NETwork Science) to obtain a better understanding of petitioning networks. “The largest graph we analyzed using CINET had about 2,300 nodes (points of convergence) and more than 487,000 edges (links between nodes/points),” S.S. Ravi, professor of computer science at SUNY Albany, points out. The networks of nodes and edges in this study were restricted to users (nodes) who signed at least seven of the 21 petitions. Two nodes are connected with an edge if the corresponding pair of users co-signed at least seven petitions. For graphs with thousands of nodes, the computations needed billions of steps. A ten-fold increase in the size of the graph increases the number of computational steps into the trillions. In sum, the study shows: 1) A core group of strongly connected petitions that ‘support law-abiding gun owners’ and 2) four ‘communities’ of individuals who petitioned in opposition to the apparent pro-gun control swell following the Sandy Hook shootings. Exposed through market basket and social network analysis, their coordinated activity became evident in the patterns of petition signatures. Further analysis will investigate the relationship between behaviors related to other social media and subsequent signature accumulation. Such computations, however, can surpass the capacity of even sophisticated analysis tools like CINET — a challenge for which the authors prescribe supercomputing. Research on the effectiveness of e-petitioning, and the use of supercomputing in analyzing relevant data, will be vital in advocating for change. 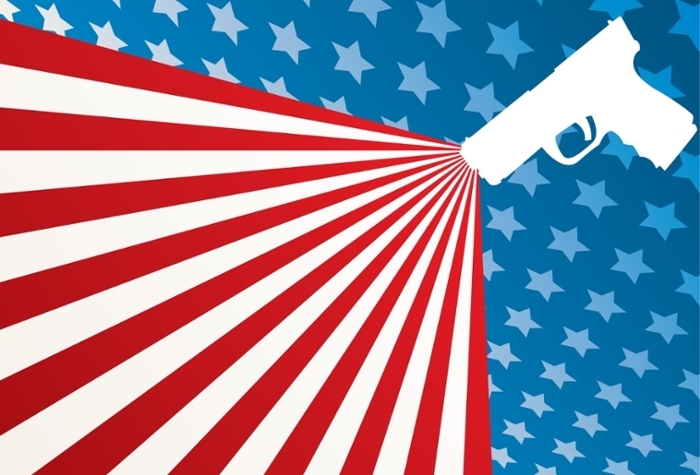 After all, mass shootings among the American population have become a frightening reality.